Yeah... it’s a wallet. 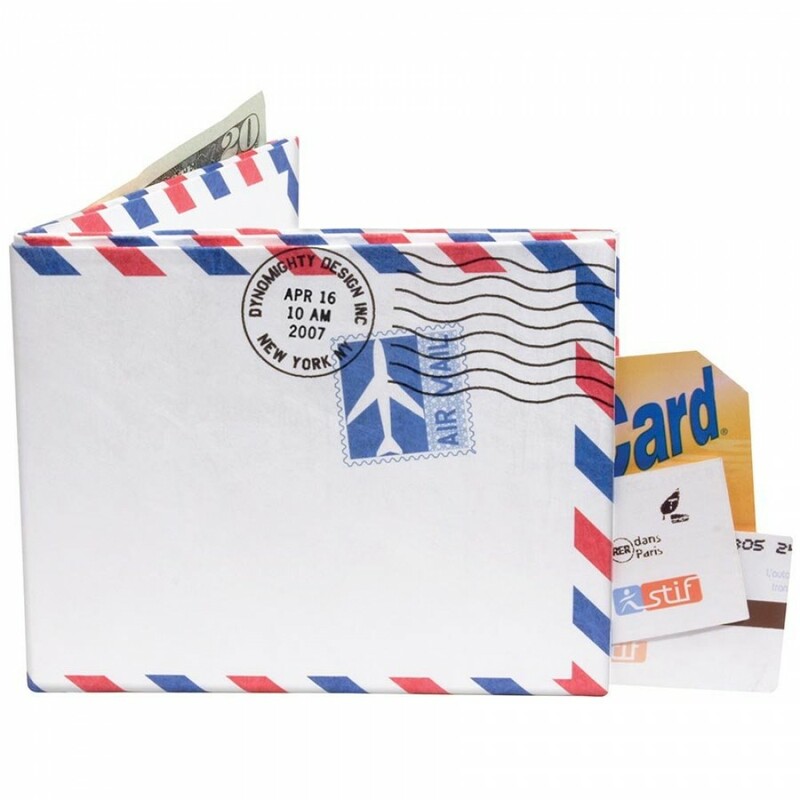 Printed with the nostalgic “Airmail / Par Avion” border that elicits travel and exotic foreign countries, the Airmail Mighty Wallet is our cornerstone wallet design. 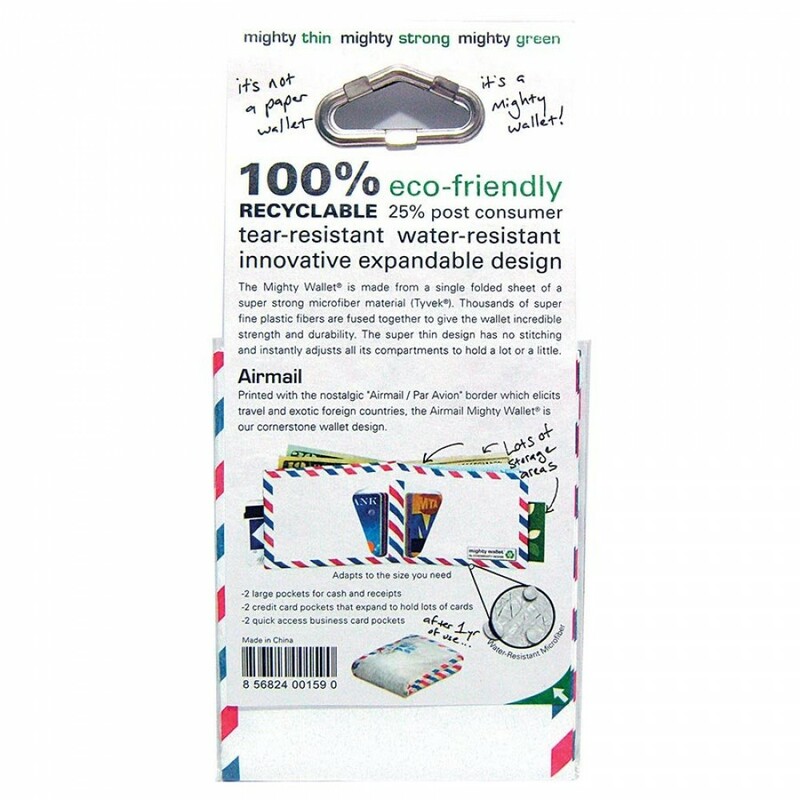 The Mighty Wallet is tear-resistant, water-resistant, expandable and recyclable. 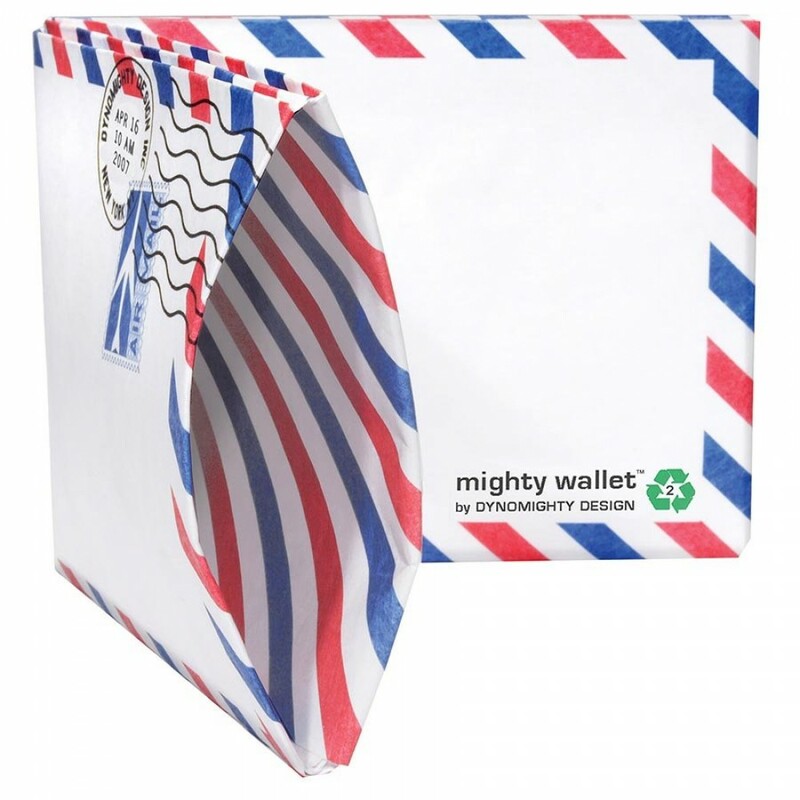 Made from Tyvek (think express mail envelopes), these cool wallets resist tearing because of thousands of interlocking plastic fibers spun in random patterns, giving them incredible strength. The ingenious origami construction was and is the original folded Tyvek wallet designed by Terrence Kelleman. 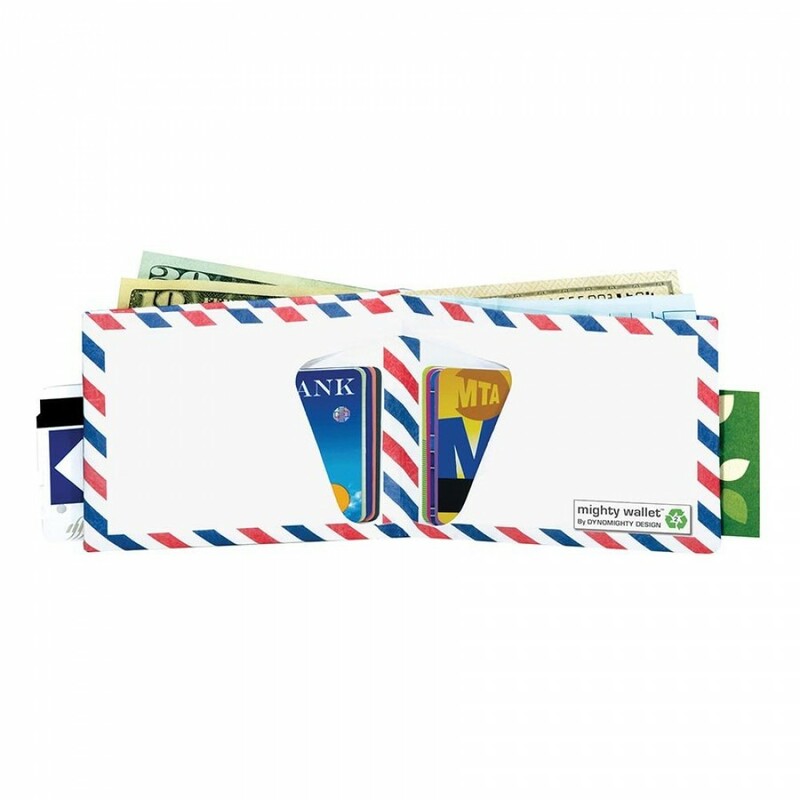 The stitchless design reinforces the materials own strength and allows these very slim wallets to instantly expand and adapt to your own personal storage needs. 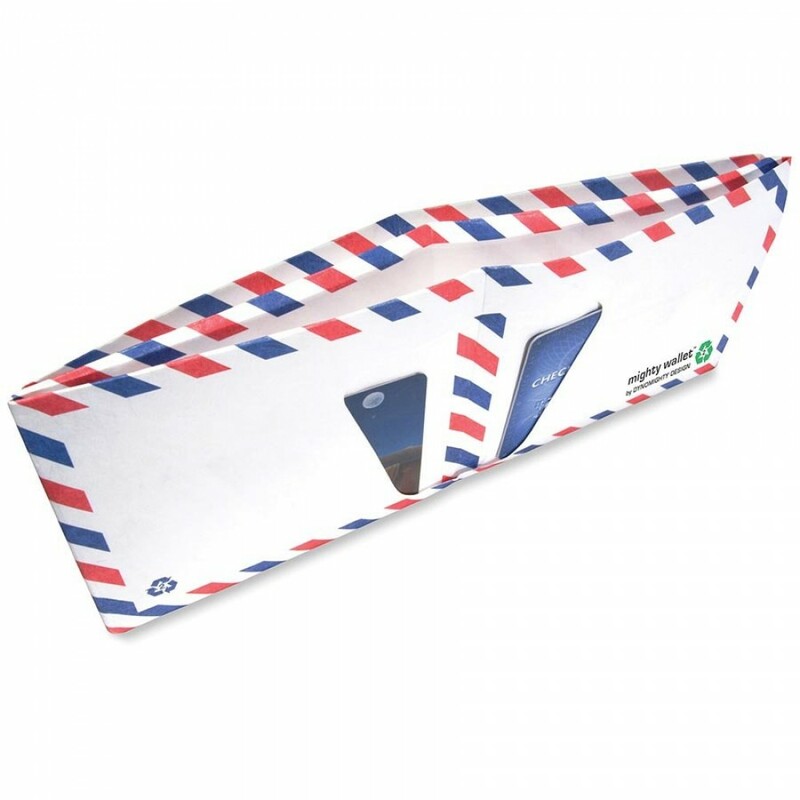 Because of the slim, lightweight and water resistant features, you can take these cool wallets anywhere. 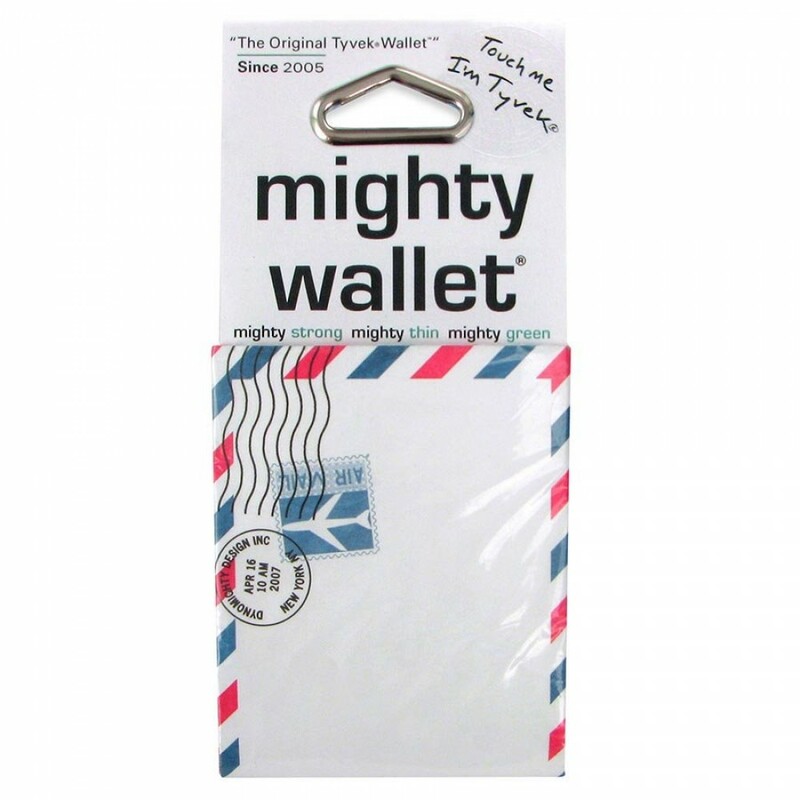 They make great “night out” wallets for a slender silhouette and the writable surface conveniently acts as a quick note pad on the go. In time, the Mighty Wallet will gradually soften and patina but, even after years of wear, it will still offer surprise and solicit intrigue.